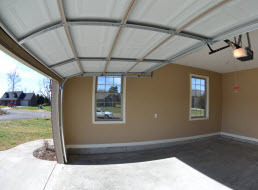 Welcome to AAA Garage Doors – the full service Garage Door company that Greater Knoxville, Tennessee homeowners choose for quality Garage Door and Opener Services in areas such as Powell, Lenoir City, Maryville, Oak Ridge and of course Knoxville, TN . 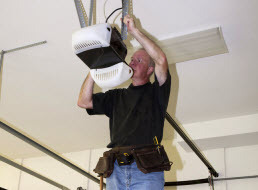 We offer installation, new construction, remodeling, replacement, upgrades, emergency repairs, parts, tune-ups and preventive maintenance of Garage Doors, Openers, Remote Controls, Motors and Hinges etc. Our preferred brands are Amarr, CHI, Safe-Way and Linear but we offer expert service of all brands, makes and models. We are Licensed, Insured and Bonded. Count on us for unbeatable prices, efficient service and reliable results. Call us today and discover why we are a local leader in our field! • Well Maintained Service Vehicles – Our well cared for service vehicles get our technicians to your home when you need them! 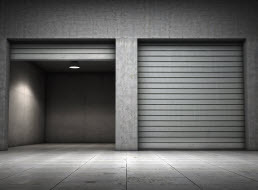 • Fully Stocked Garage Door Parts – To ensure your garage door is repaired quickly and efficiently, our technicians carry a large inventory of parts and accessories for major brands of doors and openers. • Specialized Training – Our trained technicians have years of field experience and ongoing new technology learning opportunities so you receive the right repair, performed efficiently, in the shortest time possible. • Friendly Support Staff – At AAA Garage Doors, we have a great support staff that work together to provide the garage door services you need. Customer service professionals, dispatchers, warehouse staff, carpenters, technicians, material and parts managers as well as other professional support staff. • Convenience – We are available 24/7 for emergency situations because we understand garage door problems aren’t planned or scheduled! 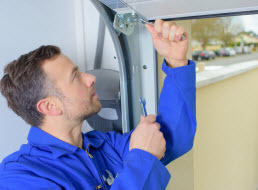 • Specialty Tools – AAA Garage Doors has the right tools for the job to ensure a proper installation or repair that will keep your door secure and operating safely. • Licensing & Insurance – For your protection, we are fully licensed and insured. Contact us for all your residential and commercial garage door needs!